Black and white photograph of a group of people on the sidewalk in front of a building. 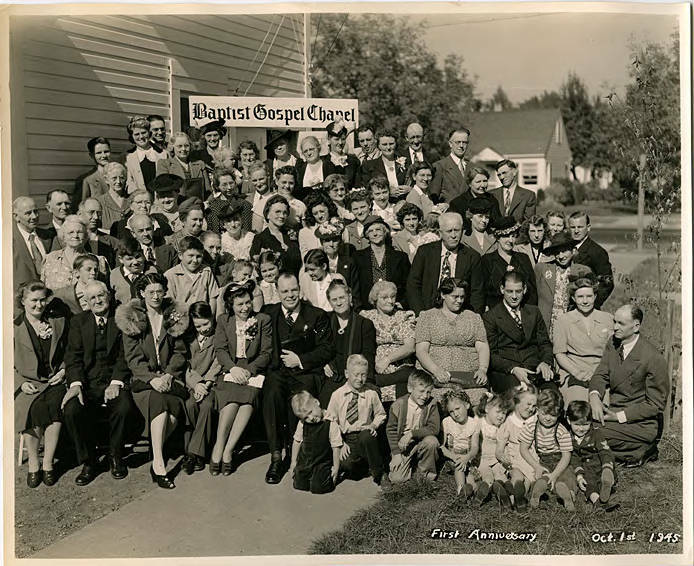 The sign behind the group reads 'Baptist Gospel Chapel.' The church was founded in 1944 by Rev. W. T. Mugford, formerly pastor of Hillsboro First Baptist Church and about thirty members of the congregation who left with him.